To the extent that it’s possible to have a cool bike lock, I have the coolest bike lock ever. 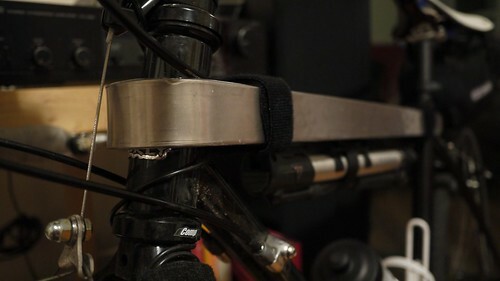 A month or two ago, folks on Twitter were all abuzz about a Kickstarter project to manufacture a snazzy bike lock called a TiGr. When I saw the specs for the TiGr, I knew I had to back the project—the TiGr’s lightweight-yet-strong titanium shackle is perfect for around town or a long bike tour. Non-gearheads, suffice it to say: the TiGr is all that and a bag of chips. Fellow gearheads, check out my video review of the TiGr below. Nice! Looks 100 times better than a U lock!